The decision to invest in laser therapy technology is not one to be taken lightly. For starters, these machines are very expensive for a NY podiatry practice. 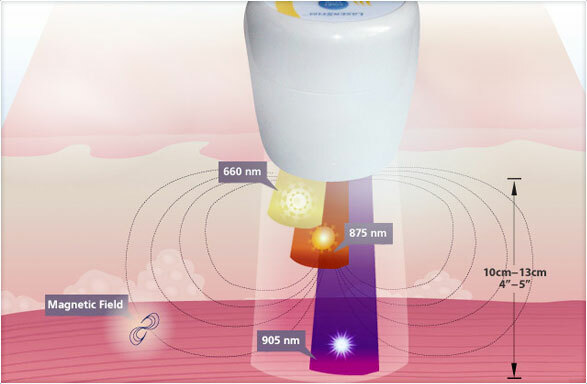 One website calculates the average cost of a cold laser to be in the ballpark of $2,000 to $15,000, so it takes many treatments to see a return on the investment. Beyond that, the technology is so late-breaking that insurance companies have been slow to approve reimbursement, so patients are expected to pay out of pocket. Still, we feel the advantages of being a laser therapy provider in New York City outweigh the costs. Foot lasers can greatly improve patient outcomes. 1. Better outcomes for patients: What people like about laser therapy is that it’s a non-invasive procedure with no side effects. Patients come in, receive treatment, and walk out. There is no need for downtime with these treatments. Often, relief is experienced right away. Sometimes several treatments are necessary before dramatic results are recorded. During your appointment, we’ll discuss your particular condition in depth, so you know exactly what to realistically expect from laser therapy. 2. Improved pain management: Pain relief is one of the central pillars of our practice. When you go to a cosmetic surgeon to have a bunion looked at, they are primarily concerned with the visual appearance of the foot. While we go through great lengths to avoid giving you a long scar on your foot, our first objective is to get you out of pain, so you can regain mobility and start living again. With conditions like plantar fasciitis and heel spurs, the pain can be excruciating. One patient with plantar fasciitis said she had tried cortisone shots, orthotics, stretching, and night braces with no reprieve. Before agreeing to surgery, “Diana B” tried a new laser treatment. After six treatments over the course of two months, she said she is back to walking several miles a week and plans to enroll in exercise classes. 3. Eases burden on patients: Lasers help us with conditions — like onychomycosis (toenail fungus) — that are notoriously difficult to treat, due to patient compliance. A typical toenail fungus regimen includes taking oral medication every day for three or more months, and/or applying antifungal lacquer to the nails. Even home remedies for foot fungus need to be implemented daily for months on end with consistency to achieve any measure of success. With laser nail treatment, the patient simply comes in, sits down for a half hour, and leaves with the toenail fungus eradicated. Sometimes it takes more than one treatment, but laser therapy asks very little of the patient in general. 4. Complementary to surgical techniques: We find that lasers make a wonderful addition to surgical procedures. In foot and ankle surgery, lasers can destroy any infected tissue, while leaving healthy tissue intact. That ultimately means there is less inflammation and swelling, and that the risk of infection decreases. Lasers also help in reducing the likelihood of scar formation. 5. Distinguish the practice: We have very high morale in our office because we know we’re one of the few NY podiatry practices that specializes in the most advanced technology the industry has to offer. Public opinion of lasers is generally quite favorable, as evidenced by the number of people who come through our doors specifically asking about laser therapy. You know you’re getting great bang for your buck when you come to us. For What Are Podiatry Lasers Used? We recommend the use of lasers to treat plantar fasciitis. You can contact The Center for Podiatric Care and Sports Medicine in New York and Westchester with any questions you may have about laser therapy. During your consultation, we will be able to examine your particular issue and make suggestions on courses of treatment. Our goal is always to get you back to full mobility and an active lifestyle. Contact us today to make an appointment!